Welcome to our February newsletter! We extend a particular thanks to those who have contributed to this newsletter. We continue to welcome and encourage all of you to contribute to the future newsletters by emailing us at: hlpf2019 [at] ida-secretariat.org. WEBINAR #3: 27 March from 10:00 AM - 11:00 AM EST (New York time) to discuss country experiences in disability data collection. Register here for this webinar. Improved methodologies for collecting data on persons with disabilities, such as the Washington Group questions, and increased awareness of data disaggregated by disability are pushing a change in how persons with disabilities are included in development and humanitarian processes. There is a growing body of evidence, driven by the inclusion of disability questions in many national surveys and censuses, which can be used to inform policy, plans and strategies for reaching the Sustainable Development Goals. UN agencies, NGOs and DPOs are increasingly using the Washington Group questions and donors often now require that funding applications include data disaggregated by disability using the Washington Group Short Set Questions. We are finally starting to witness a shift in political will with entities involved in data collection finally recognising and including persons with disabilities. However this does not invite complacency. The old adage ‘if you don’t count it, it doesn’t count’ has particular relevance for persons with disabilities. Despite recent efforts, some policy and decision makers continue to incorrectly assume that reliable data on persons with disabilities is still lacking – and use this assumption to justify excluding disabled children and adults from many poverty alleviation efforts. The need to promote and increase the availability of good disability data to better understand and improve the lives of the 1 billion people worldwide who live with a disability could not be more pressing. The upcoming High Level Political Forum (HLPF), with its theme of “empowering people and ensuring inclusiveness and equity”, offers an important opportunity for us to highlight what we know about the quality of data on disability; what it is showing us about how empowered, included and equitable persons with disabilities feel; and what more needs to be done to strengthen the collection of data disaggregated by disability. In partnership with Humanity & Inclusion, we’ve prepared a report ‘Disability Data Collection: A summary review of the use of the Washington Group Questions by development and humanitarian actors’ which outlines our research and findings on the use of the Washington Group questions in different types of data collection activities. By working together and sharing these insights and learnings, Humanity & Inclusion and Leonard Cheshire hope to contribute to global dialogues about data collection disaggregated by disability, including the upcoming HLPF. Leonard Cheshire and Humanity & Inclusion have identified successful examples of using the Washington Group Questions by both development and humanitarian actors in their data collection efforts. However, both sets of research also have shown that it is not always possible to collect data on persons with disabilities in acute humanitarian crises. They also show that the Washington Group Questions are not an appropriate methodology for every situation, with small scale, qualitative initiatives in particular often benefiting more from different, less quantitative approaches. A critical learning from this report is that training on the correct use of the Washington Group Questions is necessary at all levels. A particularly important finding from our study is that the Washington Group Questions are intended to determine prevalence of disability but are not designed to be used as a diagnostic tool which we identified as a common misunderstanding. The Disability Data Portal pulls together the growing body of data that in the past, has been difficult to find, use and compare because it has been scattered through many national censuses, surveys, studies and reviews, using a range of different collection instruments that have not consistently been analysed or widely disseminated. Currently, the Portal hosts data disaggregated by disability in 40 countries across 16 development indicators. Focusing on four thematic areas – inclusive education, stigma and discrimination, technology and innovation, and economic empowerment (in line with the 2018 Global Disability Summit priorities), the Portal provides an easily accessible ‘one stop shop’ for data on people with disabilities, pulling together a wide array of data from dozens of censuses, surveys and other data collection instruments at national and regional levels. Providing a snapshot of the situation for persons with disabilities in 40 countries, the Portal shows that a substantial amount of data on disability exists. The data, however, reveals that, quite shockingly, across all four thematic areas explored and for the majority of countries examined, persons with disabilities are being left behind. This should serve as a wake-up call for the HLPF, and all those concerned with the achievement of the SDGs. 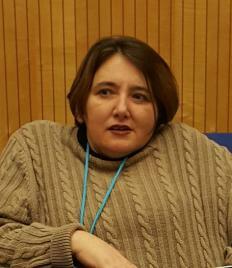 Not only do policy-makers and practitioners need to revisit their understanding of the availability of data on disability, but they also need to start acting on this data to reduce the gaps between persons without and persons with disabilities and to truly ensure no one is left behind in achieving the SDGs. The Disability Data Portal is an open source and a collaborative resource to be used widely by international agencies, governments, civil society, researchers and advocates. The information is intended not only for those who concentrate on disability issues and advocacy, but just as importantly, for the many others working in a range of development, health and poverty alleviation efforts who are not disability experts, but who need an accessible, easily useable source of information. This means that policy and decision makers can no longer hide behind the excuse that there is no data. The Disability Data Portal allows for cross-country comparisons, global overviews of progress and an analysis of where gaps still exist. It can act as an important tool in the run up to the HLPF as it hosts data on the SDGs under thematic review and can help to define actions that need to be taken by national governments, development partners and DPOs to ensure that persons with disabilities are empowered, included and treated equitably in policies, programming and financing to achieve the SDGs. Leonard Cheshire is keen to partner and collaborate with organisations with an interest in data disaggregated by disability and the ‘leave no one behind’ agenda to expand the scope of the Portal further. [i] Altman, B. M. (2016). International measurement of disability. In Purpose, method and application. Springer International Publishing, Cham. INPUT OPPORTUNITY! We welcome and encourage those who wish to contribute relevant blogs to future newsletters to do so by emailing HLPF2019 [at] ida-secretariat.org (). In Finland, researchers have been collecting health related data from young adolescents for decades. The first type of survey that covered a national representative sample was the Adolescent Health and Lifestyle Survey (NTTT – in Finnish) in the 1977. A few years later an international study of Finnish, Norwegian and English school-aged children was carried out in 1983. This study soon became the WHO collaborative cross-national Health Behaviour in School-aged Children (HBSC) study that spans over 45 countries in the WHO Europe Region and North America. In recent years, several regions around the world have been interested in linking with the HBSC study by replicating the study in their own countries. The Finnish National Institute for Health and Welfare has carried out the School Health Promotion (SHP) Study since 1996 and most recently the University of Jyvaskyla and its partners has carried out the Finnish School-aged Physical Activity (FSPA; LIITU – in Finnish) study. In the last decade there have been vast changes in the way data were collected, particularly in relation to the self-reporting disabilities in these national level surveys. This is a vital way of obtaining data because we are using the information directly from the young adolescents rather than by proxy from parents, teachers or health professionals. In the NTTT study, a single item was used, and it was later to be found to be similar to the item used in the 1991 UK Census and the Canadian Physical Activity and Limitation Study. Over the years, the avoidance to diagnose adolescents with disabilities as medical only conditions in the national surveys has been replaced with the severity of functional difficulties as guided by the Washington Group on Disability Statistics. However, there was a lack of certainty into how this may be carried out. The single item was integrated into the 2001/2 HBSC survey, and items on functioning were included based on difficulties in ‘seeing’, ‘hearing’, ‘speaking’, ‘moving around’, ‘handling objects’, ‘breathing’ and ‘epileptic seizures’. The response options were not defined by levels of severity as with the International Classification of Functioning, Disability and Health or degrees of difficulties like the Washington Group, rather the school-aged children responded by checking a box. In the 2013/14 survey, after several developments by the Washington Group, the items in the Finnish version of HBSC were based on a mix between the short set of the Washington Group questions (difficulties in, seeing, hearing, walking, self-care, remembering or concentration, and being understood) and the existing items that were in previous HBSC editions. The researchers in HBSC value the possibility of monitoring trend patterns based on the data, and to ensure that data from 2002 through to 2013/14 could still be maintained, there had to be a compromise between the old and new items. As such, the response scale was based on the theoretical concepts within the ICF. The items in the survey used the five point scale that is used in the ICF core sets instead of the four point scale proposed by the Washington Group. Just in time for the preparation of the 2017/18 HBSC data collection, the UNICEF produced a set of items called the child functioning module. Moreover, Finland had ratified the UN Convention on the Rights of Persons with Disabilities in May 2016. This gave political stimulus to adhere to article 31 (data collection) and provide funding to test and improve data collection in self-reported surveys. The challenges has been, and still are, to know which children with disabilities can we include to answer these questions themselves, what do the ratings of functional difficulties actually mean in terms of daily participation and body functioning, and to what degree of adapting items from UNICEF are meaningful for the purpose of national data collection. Through funding by the Finnish Ministry of Education and Culture, the child functioning module with a four point scale was modified for self-reporting and tested through multiple phases for its implementation in the HBSC and FSPA 2018 studies. This has included collecting data from special educational classes, special schools and in the general schools. School-aged children in special educational classes and schools completed shortened versions of the combined HBSC and FSPA surveys. Three different level of surveys were made available for completion during school time. The longest survey (L) was in the same language as the main HBSC and FSPA surveys, although a few of the response options changed from, for example 5 point scale to 3 point scales. The medium survey (M) was the same as the L survey, however, the language used was modified by the easy-to-read translation service. The short survey (S) was the same as the M survey, but fewer items were available. The layout of the electronic surveys also varied slightly from each other so that fewer items were on a screen for the S survey from the other (M and L) surveys. Furthermore, the use of visual images were used to help the school-aged children to understand the questions. Creating modifications for self-reported child functioning module was the most challenging. The researchers finally decided on the use of pictures of a thermometer gauge at different stages to describe the severity level of difficulty. Focus groups were also conducted during the pilot phase and the feedback was used to refine the items where possible. It was important to find a balance between modifying the item too much so that it can be easily understood by everyone but would then be difficult to compare against other survey items. Eventually the items were finalised and data were eventually collected with the assistant of the school teachers. Results from the FSPA 2018 study (use of the L-survey only) are out now in Finnish, with summaries in Swedish and English. 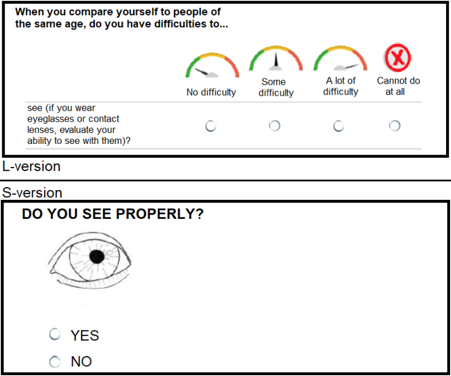 This was the first step for researchers to modify the questionnaire for children with disabilities to complete themselves. There is still much more to do, including converting the survey for use by people with visual impairments on an electronic survey platform. More data analyses are planned as well as refinement of the survey items. The 50th Session of the United Nations Statistical Commission will be held from 5-8 March 2019 at UN headquarters in New York. On Wednesday, 6 March from 6:15 PM - 8:15 PM, the Stakeholder Group of Persons with Disabilities, International Disability Alliance, CBM International and the Washington Group are co-sponsoring a side event titled “Making disability visible in statistics.” The event will highlight current activities undertaken by NSOs, UN agencies, development ministries, organizations of persons with disabilities and civil society to improve the collection and use of disability data to meet the requirements of the UN Convention on the Rights of Persons with Disabilities and the Sustainable Development Goals. More information about this side event can be found on the United Nations Statistical Commission webpage. The ninth meeting of the Inter-agency and Expert Group on Sustainable Development Goal Indicators (IAEG-SDGs) - global SDG indicators - will be held from 25-28 March in Beirut, Lebanon. As background, the IAEG-SDGs was established by the Statistical Commission at its 46th session to develop an indicator framework for the monitoring of the Sustainable Development Goals and targets of the 2030 Agenda for Sustainable Development at the global level and to support its implementation. The global indicator framework was adopted by the UN General Assembly in July 2017. You can read the resolution here. Click here for more information on the ninth meeting of the IAEG-SDGs. The Vietnam General Statistic Office has just launched the national survey on people with disabilities 2016 in Vietnam. This is the first time a specific survey on data of persons with disabilities has been conducted with tool sets based on the international standards on disability (Washington Group on Disability Statistics and the Washington – UNICEF tool for children). This survey selected a sample size of over 35,000 households and 1,000 communes in all provinces of the country. The total number of people with disabilities in the entire country is 6,225,519, in which 671,659 are children aged 2-17. This counts for 7.09%. However, the survey report clearly indicates that since this survey does not cover the entire population, the actual number of people with disabilities must be higher than the data collected from the survey. Read a full copy of this survey at the Vietnam GSO website in English and Vietnamese. Update shared by Dr Alex Robinson alex.robinson [at] unimelb.edu.au () and Dr Liem Nguyen liem.nguyen [at] unimelb.edu.au. The disability inclusion team at the Nossal Institute for Global Health, University of Melbourne is starting off 2019 with a range of work on disability data. The team is completing a study into the use of the Washington Group questions in Australia’s development and humanitarian programming for the Department of Foreign Affairs and Trade (DFAT) under the CBM-Nossal Partnership. Work on the availability and use of disability data by governments in Asia and the Pacific with UNESCAP’s Social Development Division is also in completion. New work includes providing technical assistance to design and deliver a baseline survey for a USAID multi-year Community Based Inclusive Development programme in Laos. This programme is implemented under a World Education and Humanity & Inclusion collaboration. Nossal is also providing technical support to incorporate disability measurement components into the Individual Deprivation Measure (IDM) poverty measurement tool. The IDM tool is being developed by the International Women’s Development Agency (IWDA) with the Australian National University (ANU) and funded by DFAT. This work is in Myanmar with a related trial in South Africa led by ANU. On the 31st of January, the project on Disability Data in Humanitarian Action launched a new e-learning on Collecting Data for the Inclusion of Persons with Disabilities in Humanitarian Action as part of a learning toolkit providing guidance on the application of the WGQs. The e-learning is available on disasterready.com and Kayaconnect.org from the end of January 2019. To learn more, continue reading Humanity & Inclusion’s article about the launch of the toolkit. Communication Matters! This publication, launched in mid-January, presents the results of research on communication and information between persons with disabilities and local authorities. Persons with disabilities often don’t have access to information and public services, but also don’t know or are not able to communicate that they want access. On the other side, the local authorities often do not know how to provide persons with disabilities with information and services, and because they don’t hear from persons with disabilities they might also not be aware of the need to do so. This is a vicious cycle. This communication gap can hinder well intended actions and can prevent those most in need of support from receiving it. To learn more, the full publication can be found on Light for the World’s webpage. Washington Group Frequently Asked Questions. The Washington Group question sets are designed to provide common definitions, concepts, standards and methodologies in the production of statistics about persons with and without disabilities. In order to produce internationally comparable data, the tools must be used consistently within every country, in line with the collection protocols defined by the Washington Group. More information about the Washington Group and some of the most important aspects of using the Washington Group tools can be found on the frequently asked questions about the Washington Group webpage. Estamos felices de darles la bienvenida a la primera edición del boletín de Big Data for Development Network. La red busca desarrollar investigaciones relevantes sobre big data para el desarrollo sostenible, generando capacidades entre los investigadores, y centrándose en actividades relacionadas con los Objetivos de Desarrollo Sostenible (ODS). Combinando esfuerzos de investigación coordinados a nivel mundial con centros regionales en África, Asia y América Latina, BD4D tienen como objetivo influir las discusiones de política global sobre big data para el desarrollo sostenible. Invitamos a la comunidad estadística y de datos, así como a todos los interesados, a que conozcan más sobre las actividades de la red BD4D: noticias destacadas, presentaciones en diversos escenarios, publicaciones, próximos eventos, así como nuestra selección de publicaciones y multimedia. Más información está aquí. We are happy to welcome you to Big Data for Development Network’s first newsletter. The network seeks to develop relevant research on big data for sustainable development, generating skills among researchers, and focusing on activities related to the SDGs. Combining globally coordinated research efforts with regional centers in Africa, Asia, and Latin America, BD4D aims to influence global policy discussions on big data for sustainable development. We invite the statistical and data community and those interested to learn more about BD4D’s activities: news, presentations, publications, upcoming events, as well as our selection of publications and multimedia. More information is here. INPUT! Do you have data on women and girls with disabilities in your country? 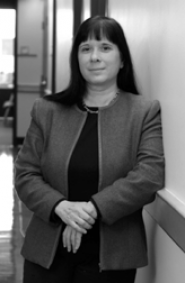 IDA has been invited to be a panelist at the sixty-third session of the Commission on the Status of Women (CSW 63) during an expert session on Monday, 18 March 2019. We are collecting inputs for the panel presentation. The title of the presentation is: “Making the SDGs count for women and girls with disabilities – the data challenge and opportunity.” Kindly provide relevant inputs on progress, gaps and challenges in collection, reporting, research, analysis and dissemination of gender statistics, lessons learned and good practices in meeting the gender data requirements to monitor the SDGs for women and girls with a particular focus on women and girls with disabilities. Please send your inputs to hlpf2019 [at] ida-secretariat.org () no later than the 4th of March. INPUT! The Stakeholder Group of Persons with Disabilities has prepared the first draft submission to the High-level Political Forum 2019. The document contains five chapters in line with the Goals under review, which outline the current situation and challenges and provide relevant recommendations on how to achieve these Goals. The five chapters include: education (SDG 4), employment (SDG 8), reducing inequalities (SDG 10), climate change (SDG 13) and peaceful and inclusive societies (SDG 16) that includes access to justice, end violence and participation in decision-making processes. The submission can be viewed as a Google document or Word document. We kindly invite all of you to comment, input and contribute to this very important submission that covers some of the most critical areas for persons with disabilities. In particular, we are seeking inputs regarding data on education and employment for persons with disabilities, including national data. Please provide your suggestions no later than 4 March 2019. SAVE THE DATE! On Friday, 14 June in New York, UNICEF and the Stakeholder Group of Persons with Disabilities, are organizing a one-day disability data event for those already attending the 12th session of the Conference of States Parties to the CRPD (11-13 June). The event will focus on disability data, and include some training, thematic discussions, advocacy strategies, and informal exchanges. Details are forthcoming. PARTICIPATE! Submit abstracts to the 4th International Symposium - ICF Education from 6-7 April 2019 in Kuwait City, Kuwait. The authors of the 15 best abstracts from countries of the Eastern Mediterranean Region will be completely funded by WHO/EMRO to participate at the Symposium.The deadline to submit an abstract is 15 March 2019. Follow this link to submit an abstract. ENGAGE! To stay up to date and engage in the most recent dialogues surrounding disability data, please join our Disability Data Forum ListServ here. INFORMATION! Find more information regarding the activities of the Disability Data Advocacy Working Group here. ENGAGE! To input into future disability data newsletters, please email hlpf2019 [at] ida-secretariat.org with your submissions.